Well this is fun! 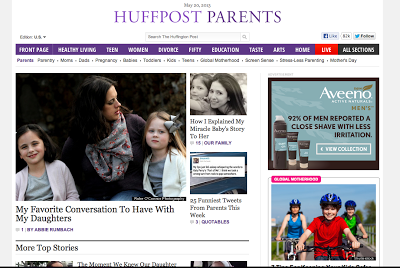 The Huffington Post published my blog post entitled High Hopes on the front page of their Parent's section. You can read it here on The Kids Made Me Fat, or if you're feeling adventurous, you can wonder on over to the Post and check it out!